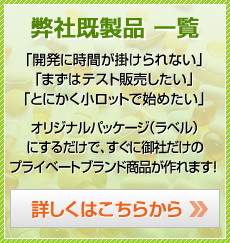 Kobata Research Institute was founded as a manufacturer of propolis extract. We are now growing as an OEM contract manufacturer producing a variety of dietary supplements. Our integrated production system includes everything from product planning, the procurement of raw materials, manufacturing, to the final wrapping. We have also established a quality assurance system employing professionals. In particular, we have excellent technology of the production of tablets, pills, granules, stick packs, foil bags, tablet counting, and filling for bottles or aluminum bags. Our production capabilities have been proven by more than 1,000 supplements for beauty, diet and health, the immune system, and energy. Kobata Research Institute offers effective product proposals that meet the needs of each country, and provides comprehensive sales support to customers. We will respond your inquiries promptly and courteously. Please feel free to contact us. Commencement of research into the extraction of propolis and manufacturing related products. Establishment of Kobata Research Institute, Construction of Head Office Plant in Gojo City, Nara Prefecture. Establishment of Osaka Office in Kawachinagano City, Osaka Prefecture.